EDIT The African Banker Awards that will take place during the African Development Bank Annual Meetings on 11th June in Malabo, Equatorial Guinea are now accepting entries for the awards of African Bank of the Year, African Banker of the Year, Investment Bank of the Year, Best Regional Bank in Africa, Best Retail Bank in Africa, Innovation in Banking, Infrastructure Deal of the Year, Deal of the Year (Debt), Deal of the Year (Equity), Award for Financial Inclusion, and Socially Responsible Bank of the Year. All financial institutions (banks, micro-financiers, investment banks, DFIs and others) are invited to compete. Completed entry forms should be submitted by Monday 1st of April. Edit Africa CEO Forum Awards recognizes outstanding business leaders and this year includes a “Gender Leader of the Year” prize and “Disrupter of the Year” award to go with other existing awards for CEO of the Year, African Champion of the Year, and International Company. Some nominees include Mohamed El Kettani – Attijariwafa bank and Tewolde Gebremariam – Ethiopian Airlines for “CEO of the year”, Banque Centrale Populaire, Ethiopian Airlines, OCP Group and Royal Air Maroc for “company of the year”, Absa Group, Access Bank, First Bank of Nigeria and Unilever for “gender leader” and Africa’s Talking, Baobab+, InTouch, Jumia and Kobo360 for the “disruptor” award. The awards will be given during the 7th Africa CEO Forum on 25 – 26 March 2019 in Kigali, Rwanda. EDIT Class 5 of the Alibaba Global Initiatives eFounders fellowship is open to founders/co-founders of digital ventures from Botswana, Cameroon, Chad, Kenya, Rwanda, or Uganda. It is jointly organized by Alibaba Business School and UNCTAD and the deadline is March 17. Note that the fellowship does not cover air tickets and transportation/pick-up services to and from Hangzhou, China. The Anzisha Prize is Africa’s biggest award for her youngest entrepreneurs and hands out over USD $100,000 every year in funding to entrepreneurs from all over the continent. Details here. EDIT The British Council Future Leaders Connect, is a global network for emerging policy leaders seeking to connect to a long-term network of emerging leaders from around the globe, who want to change the world through policy making. To take part you must be aged 18-35 and live in one of our participating countries – Canada, Egypt, India, Indonesia, Kenya, Mexico, Morocco, Nigeria, Pakistan, Poland, Tunisia, UK and USA. Applications from Egypt and the USA are by invitation only. Applications close on Monday 6 May 2019. EDIT Cities Alliance a global partnership supporting cities to deliver sustainable development, hosted by the United Nations United Nations Office for Projects Services (UNOPS), is offering grants up to USD 50,000 to people working on innovative and accessible solutions for improving tenure security and land and property rights in any African country. It is open to Innovators, microenterprises, social entrepreneurs, community-based organisations, and national and local NGOs working in African cities. Deadline to apply for the Cities Alliance is March 14, 2019. Edit Coca-Cola Beverages Africa and PETCO have launched an innovation challenge, dubbed the Beyond Baling Innovation Challenge (BBIC), that aims to provide innovative solutions to bale post-consumer PET plastic in order to ease their transportation for recycling and manufacturing. DRC Innovation for Financial Services 2019: The Central Bank of Congo, in partnership with FSDA Africa and Elan DRC, has launched Innovation for Financial Services 2019, a competition for businesses and entrepreneurs aimed at promoting the development of innovative and relevant financial services and payment solutions in the DRC. The winner of each category will then have access to FSD Africa’s investment process with the possibility of raising up to US$130,000. The Tony Elumelu Foundation, the leading African-funded and founded philanthropy committed to empowering African entrepreneurs, has announced its last call for applications into its prestigious 2019 Entrepreneurship Programme. Selected beneficiaries will join 4,470 current alumni and will receive $5,000 seed capital, access to mentors, bespoke training and numerous opportunities to impact policies at the local and global level. The programs is a 10-year, $100 million commitment to identify, train, mentor and fund 10,000 African entrepreneurs, the Programme’s objective is to generate at least 1,000,000 new jobs and create at least $10 billion in new business revenue across Africa. Applicants can apply on TEFConnect, the largest digital networking platform for African entrepreneurs by March 1. HEVA Fund: HEVA has launched a Growth Fund in collaboration with Agence Française de Développement (AFD), targeting mature businesses in the creative economy – fashion, apparel and accessories; live cultural events (music, shows, venues, festivals); and digital media content production and distribution. 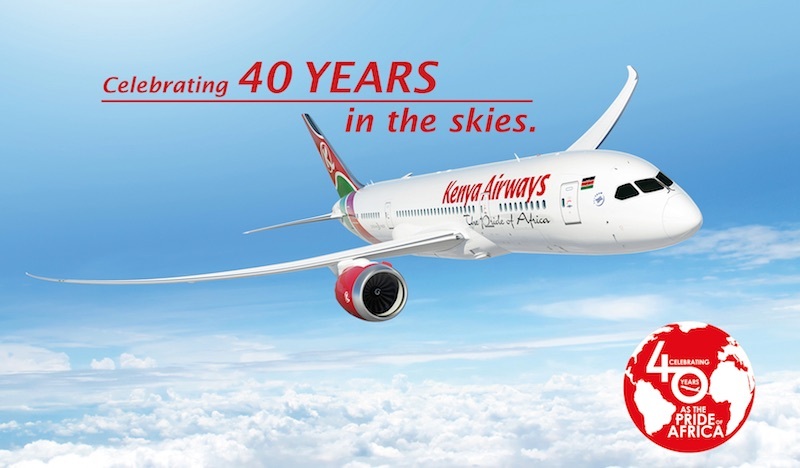 – that have been in operation for at least 5 years, with annual revenues exceeding KES 10 million. The targeted businesses are in the following creative economy value chains: HEVA will be investing a minimum of KES 5 million and a maximum of KES 10 million in each successful enterprise. Deadline is 13th March 2019. HEVA is also receiving applications for its Cultural Heritage Fund and for a Young Women in Creative Enterprise Fund. The Inter Region Economic Network (IREN) has launched the IREN Technologies and Innovations Platform 2019 (ITIC 2019) to promote the best mix of technology and innovation to processes along the agribusiness value chains. Innovators are expected to address the region’s challenges in value addition, energy, storage, logistics and marketing. The Lake region is known for fish, grain, vegetable, cash crop, dairy and livestock production. IREN welcomes Institutions and established companies to participate in the final ITIP 2019 Trade Fair to be held later in November 2019. Edit MEST: Five promising start-ups from across Africa have been chosen as regional winners in MEST Africa’s annual Pan-African pitch competition, moving one step closer to winning $50,000 in equity investment, a place in the MEST Africa incubator of their choice and global mentorship to help their company scale. The winners who were chosen from over 1,000 applicants are AMPZ.TV – a ‘LinkedIn for Sports’ (Nigeria), OZÉ – a financial data insights company (Ghana), Snode – real-time cyber security (South Africa), WayaWaya – a fintech company (Kenya) and Seekewa – an agricultural financing platform (Cote d’Ivoire). Obama Founder Leaders Africa Applications are live for the Obama Foundation Leaders Africa Program which aims to identify a group of emerging African leaders from all sectors—government, civil society, and entrepreneurs—who have demonstrated a commitment to advancing the common good. Apply by February 28, 2019. Edit Pivot East: East Africa’s premier entrepreneurs’ program is back for its 6th year after a two year break with a call for applications opening on 11th March 2019 and the startups pitching competition and conference event happening on 27th June 2019. Applicants can be in software and hardware in five categories of finance, enterprise, entertainment, social Impact and utilities. Sanofi, the global pharmaceutical company, extended the registration deadline for entries to this year’s edition of the VivaTech innovation conference. 17 Kenyan start-ups have registered so far and are expected to participate in the conference. This entry was posted in ADB, Coca Cola, DRC, FSD, ideaexchange, obama, Pivot25, SME solutions, Tony Elumelu Foundation on February 28, 2019 by bankelele. 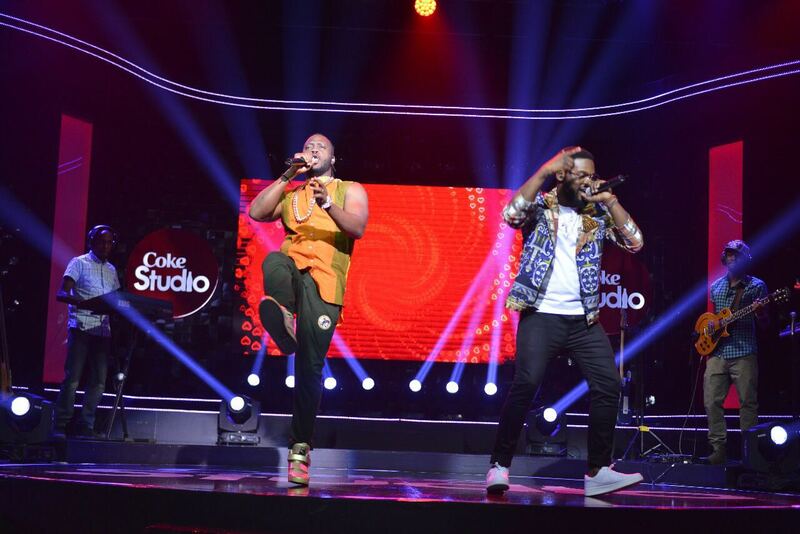 Last night, Coke studio Africa, the musical show from Coca-Cola had performances by Bebe Cool of Uganda and Falz the Bad Guy of Nigeria. They were amazing performances by top performers and I was fortunate to be at the earlier taping of the show. The production was very impressive to see live, the crowd at the taping was enthralled and it would not be a surprise if the two stars continue to perform together for many years after their first meeting in Nairobi. Coke Studio Africa, now in showing its 2017 edition, has done a lot to introduce musicians from different parts of Africa to new audiences in other parts of the continent – and the rest of the world through the Coke Studio Africa show clips which are available on YouTube and the new songs from each of the seasons that can be downloaded on a Coke Studio Africa app. 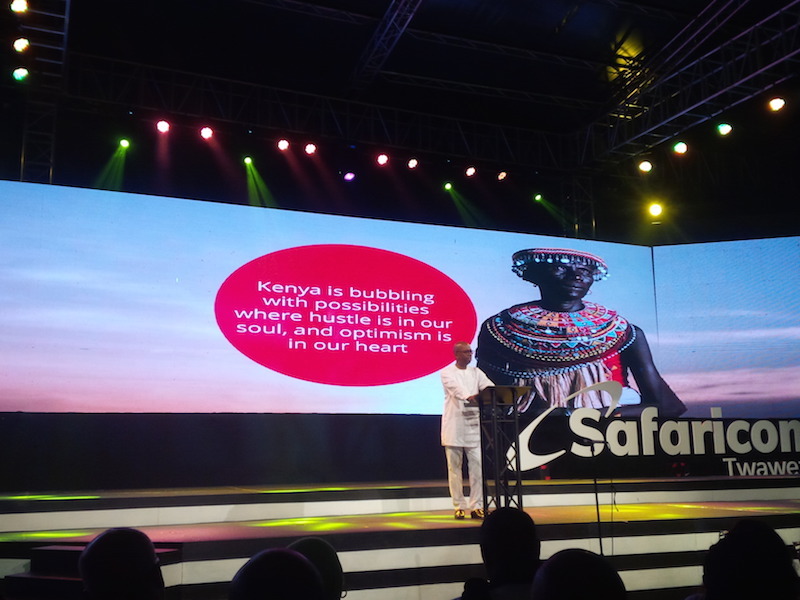 Besides the filming and production of Coke Studio Africa in Nairobi, Coca-Cola has had a busy year in Kenya. In the last few weeks, despite the Kenya election which usually sees a slowdown in corporate activities, they have had two major product launches – one for Minute Maid Pulpy Orange, and another for Coca-Cola Zero Sugar (formerly Coke Zero) which is now available in a wider variety of bottles. At the same time, the acquisition of Coca-Cola Beverages Africa Proprietary (CCBA) by Coca-Cola was completed – for continues production of Keringet bottled water brand at Molo. CCBA also bought out Equator Bottlers at Kisumu, the third largest Coca-Cola bottler in Kenya which supplies products in the Western Kenya. 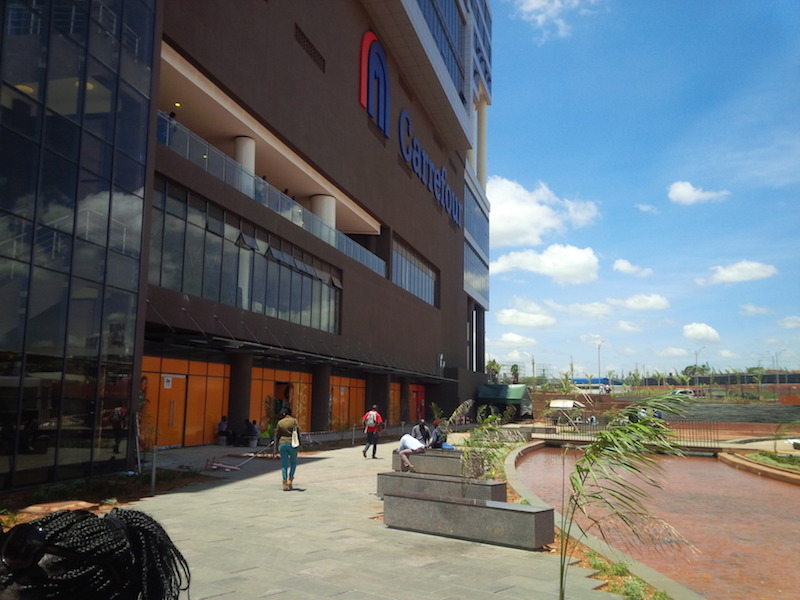 At the same time Centum Investments which owns 27% of Nairobi bottlers, and 53.9% of Almasi Beverages – both bottlers of Coca-Cola products, also moved to increase their stake in Almasi by offering other shareholders Kshs 7 per share. Almasi had Kshs 7.8 billion of sales in 2016, and a pre-tax profit of Kshs 1.05 billion. Alamasi, the second largest bottler in Kenya behind Nairobi bottlers, and according to Centum – accounts for 28% of the volumes sold in 2016, which puts Coca-Cola sales in the country at ~Kshs 28 billion. This entry was posted in Centum, Coca Cola, CokeStudioAfrica, M&A and tagged Coca Cola on September 18, 2017 by bankelele. Season 4 of Coke Studio Africa started showing on TV in Kenya last month. This is the first time I’ve really paid attention to it, and for the first time I can say, I now understand what the show is about – which is to showcase African music and artistes to new fans across the continent. The shows were shot in Nairobi and had artistes are flying in from all across Africa. Season 4 will be another massive production in terms of logistics, music production, digital, and television broadcast – that features 38 artistes from 11 countries. I did not know a single musician from Mozambique but, representing Lusophone Africa, there are two this season – with fabulous females in Neyma and Lizha James. Also, DJ’s in Kenya have been playing a funny-sounding song that has a line that rhymes like “why chew kucha” (why chew your fingernails”?) – but the song is actually “Atchu Tchutcha” by Mozambican Angolan singer, Yuri da Cunha who’s also featured this season. 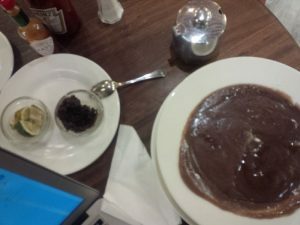 The artistes are invited and scheduled, paired and flown in to meet in Nairobi, chat with each other, and try each other’s foods to build bonds. They learn each other’s music, pick songs they like and sing versions of them, mixing languages and musical styles. Modern music has some powerful performance when people sing each other’s songs and many musicians have their largest hits from collaborating with other artistes – Whitney Houston (& Dolly Parton), Nelly & Kelly, Puff Daddy (& Sting), Sinead O’Connor (& Prince), Jay-Z & Linkin Park, Eminem & Dido, Santana & Rob Thomas, Wyclef & Shakira, etc. 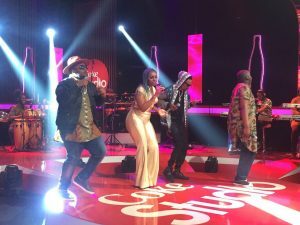 The Coke Studio sessions are done in a mix of other events that happen around the presence of particular artistes in Nairobi. Other local teams work around the artistes pairings and locations doing live bands, back up singers, filming, recording, wardrobe & makeup, media teams, digital teams etc. 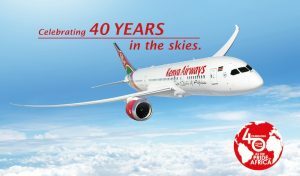 Local sponsors this year are Kenya Airways who get to showcase their regional route network (flights to 40 African cities), Samsung, General Motors who’s Chevrolet Blazers zip the artistes across town and Sarova hotels. The shows are shown in different parts of Africa on DStv and local broadcasters so different regions get different shows in five languages (English, Amharic, French, Kiswahili, and Portuguese.) with emphasis on music that appeals to a region. Last week’s show in Kenya featured Lizha James and “The Kansoul” (i.e. Mejja, Madtraxx, KidKora) and was probably one of the best ones so far. Other Kenyan artistes featured this season are Jaguar, Sauti Sol, Nyashinski, and Bahati. Most of the song clips will be available on YouTube and this year there’s also an app (at the Google store) that fans can use to download and watch all the songs and video from Season 4 as well as from two past seasons of the show. This entry was posted in Coca Cola, CokeStudioAfrica and tagged CokeStudioAfrica on November 26, 2016 by bankelele.